How To Differentiate An Original Vehicle Registration Certificate From A Fake One? Buying a new vehicle is always a special feeling. But, a lot of legal and moral responsibilities float along when you purchase one for e.g. if the vehicle isn’t registered with the registering authorities and you still plan to drive it without getting the vehicle registration certificate, you are liable for a huge fine. 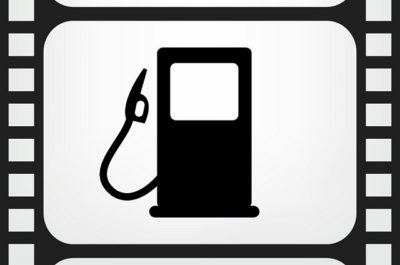 The vehicle registration certificate(RC) can be attained by the local or regional RTO. The normal registration of a personal vehicle can be had in two ways. 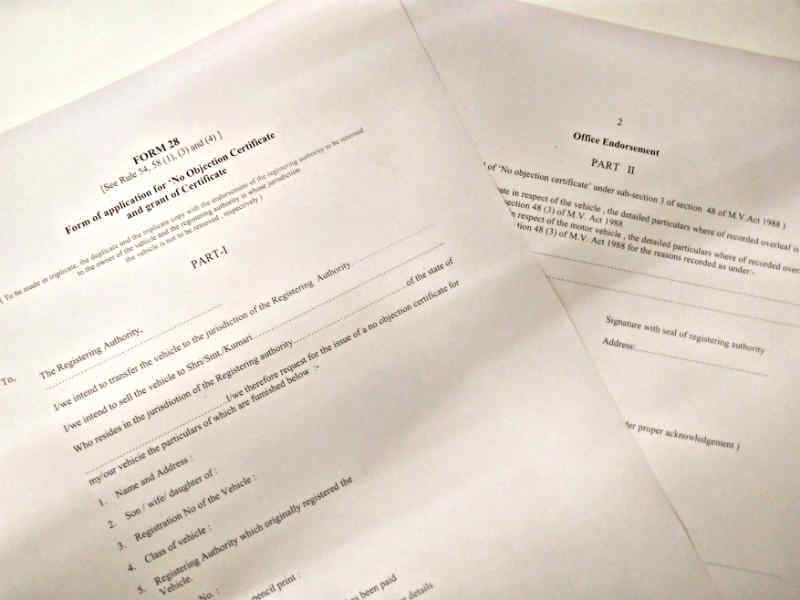 Either you can get it done by the local office of the transport department or there are some new car dealerships which can actually get you registered as they are authorized to do so. The RC is a mandatory document with the vehicle owner details as well as the vehicle details like chassis number, engine number etc. There can be chances when you can get a fake vehicle registration certificate even after paying an agent. Since you are validating a legal asset, it becomes mandatory to know how you can differentiate between an original vehicle Registration Certificate and a fake vehicle registration certificate. Since there is no standard format of RCs all across the nation, there can be a slight confusion in recognizing the RC. Also, one reason for not having a very deep knowledge of RCs is that the RC formats and patterns keep changing from time to time and vary region wise. Thus, we have tried to sort down the registration certificates for you. Initially, the Vehicles registration certificate was in the form of a passbook wherein if the car was sold to a new buyer, he got the same RC with his name written on it once the RTO approved. Later in many RTOs, this was replaced by paper RC but, again it varied from region to region. In Haryana, some RTOs still validate the paper RC, some have moved to plastic RCs which look like smart cards and have a chip or hologram. In Delhi, the RC was in paper format after 2005 till it was replaced by the smart RC with a chip on the front and a barcode on the other. 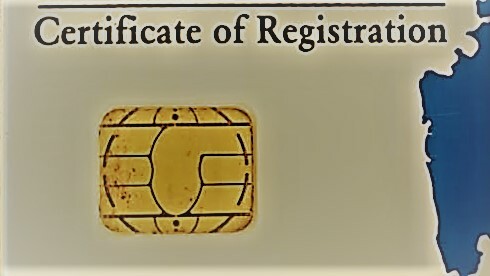 Till date some paper-based vehicle registration certificates are used and are valid too. In Rajasthan however, before 2010 RCs were of the size of an A5 paper and there were no chips involved. The visible identification was obviously the photo of the owner on the front of the RC. 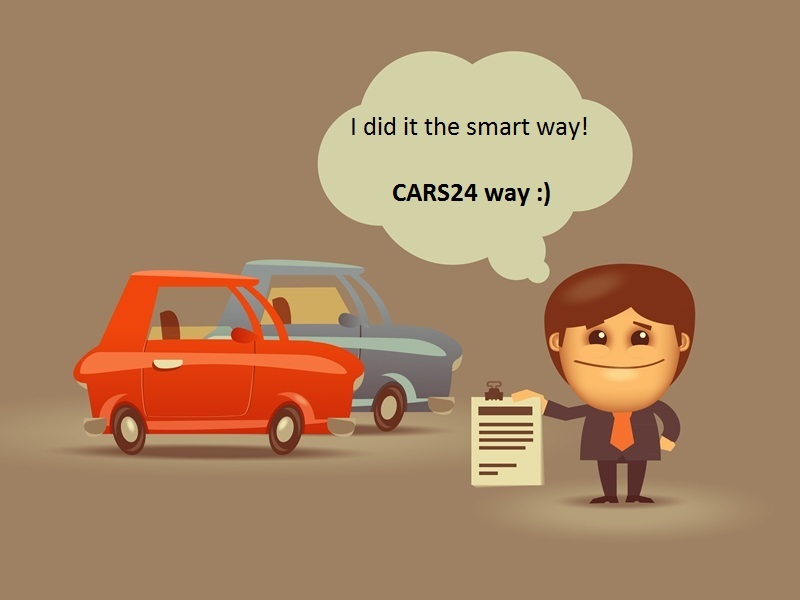 After 2010, the format changed and smart vehicle registration came into play. It had a chip on the front side and some RCs had a golden hologram too. In Uttar Pradesh, in max chances, till date, the same format is used where there are no chips involved and the photo of the owner is there for identification on the front part of the paper-based vehicle registration certificate. Also, the other states like Maharashtra, Karnataka, Punjab have evolved from the paper-based RCs to the smart RCs. 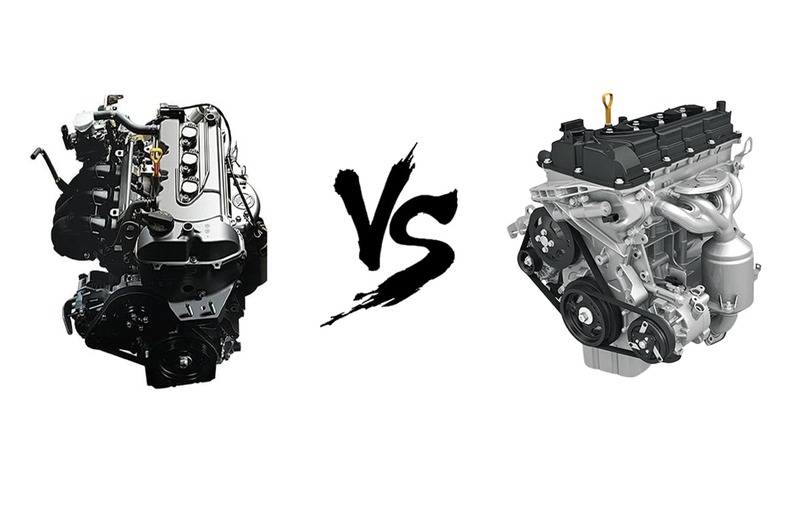 Here by our photo blog, CARS24 presents to you some ways in which you can identify the difference in original and fake RCs. 1) You can differentiate an original vehicle registration certificate from a fake RC on the basis of the font used and the colors used. Fake RCs have a light color and a variable font while the original ones have a clear font all over with no change in shades of the same color. The paper RCs are the easiest to copy and forge. But, you can identify them by the base paper format as the base paper has a clear picture than the photoshopped vehicle registration certificate. 3) One major difference in original and fake paper RC can be the size. 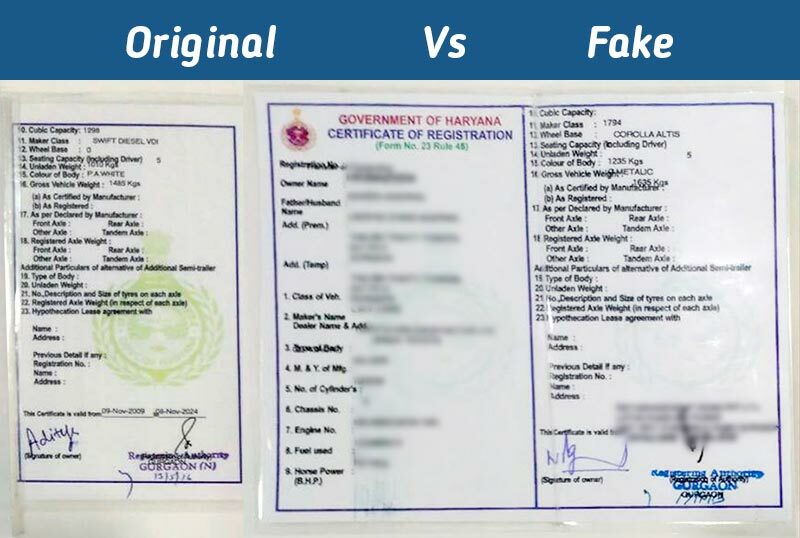 As illustrated in the picture below, the original vehicle registration certificate is smaller than the fake one in the case below. You should be careful while getting the vehicle dealing with vehicle registration certificate RC is a legal asset and you must possess an original RC. If the RC you have is not an original one, don’t worry. You can get a duplicate RC too by following steps written in this blog. 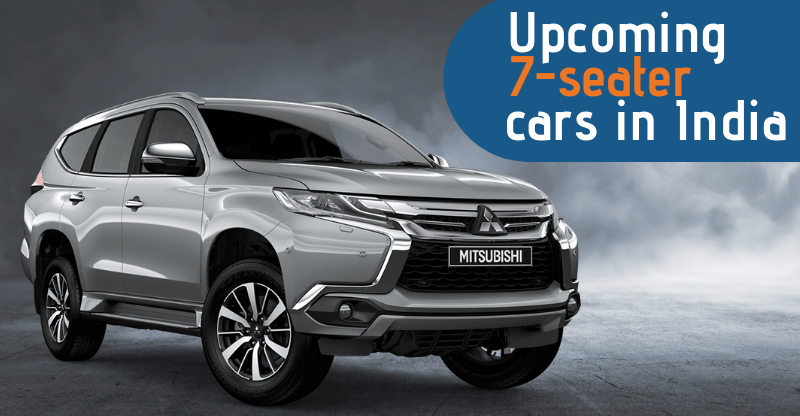 Get the best price for your used car at CARS24.